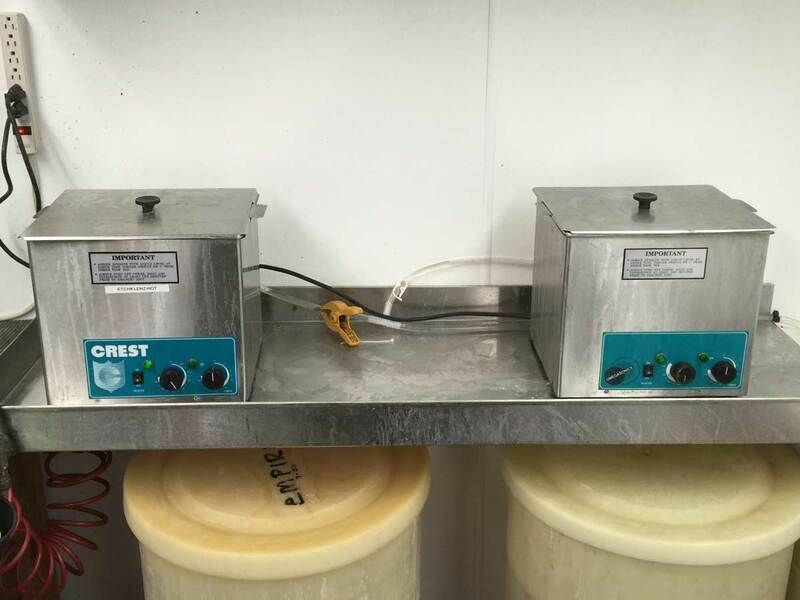 Below is an excerpt from an article we wrote when we first installed the ultrasonic cleaners in the shop. Wow 1997! A whole brand new year and a whole brand new piece of equipment in the repair shop. A scrubbing bubbles machine! Technically known as an ultrasonic cleaner. Over the past years, manufacturers have been forced to come up with methods of cleaning that are environmentally friendly. We have strived to become as chemical friendly in our own shop as well. Unfortunately, the safer the chemicals have become, the less effective they are at getting the grunge, grime, hot chocolate, Coke, Mountain Dew, and lime build up off/out of the instruments. Fast forward to 2015…As it turns out we were the first ones to use ultrasonic equipment at our level. While industrial equipment had been around for years the equipment needed for our level just did not exist. 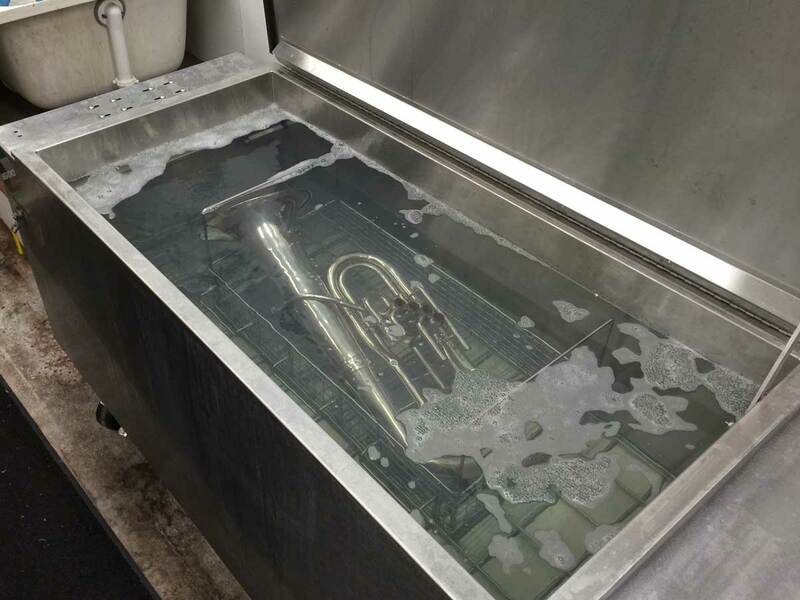 After working closely with Omegasonics, a manufacturer of ultrasonic equipment in California, we have developed machines over the last 18 years that are now widely used around the world for specifically cleaning musical instruments. In fact, in order to keep up with ourselves we have recently replaced both our floor model units with the latest developed models. 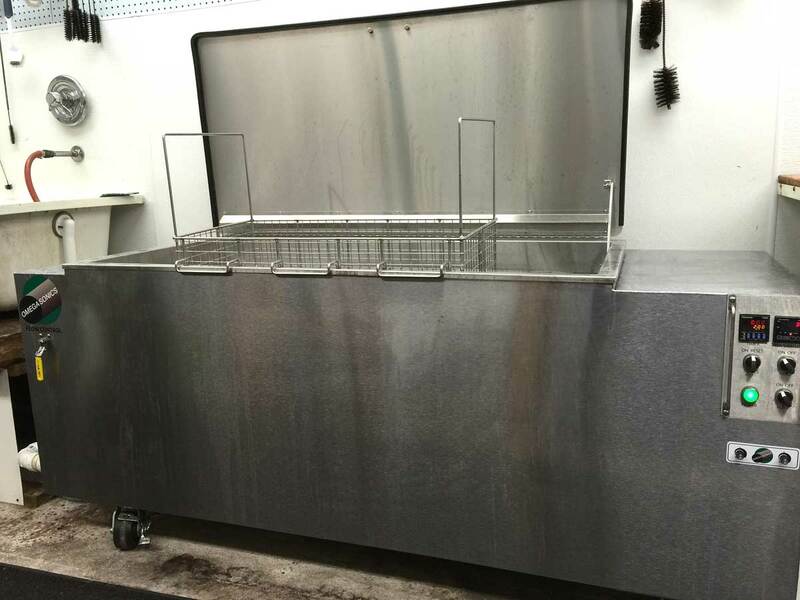 In addition we also have two other table top units that we use for small parts. So we actually have four machines in use daily for cleaning of your, and our, instruments. Why? Because they simply do a superior job and without the need of toxic chemicals. Which is good for you, us and the environment. The instrument is totally submerged in a liquid solution and the “scubbing bubbles” go to work on every square inch inside and out. No longer concerned about getting cleaning brushes stuck inside or wondering if you got “it” all. So the next time you might have your instrument “cleaned” elsewhere you should ask "What process do you use?" The video above shows the ultrasonic cleaner in action. Pay attention to the red grime coming off of both the bell and the valve casings.